This is a sponsored conversation on behalf of Mike’s Hard Lemonade. All text and opinions are 100% my own. 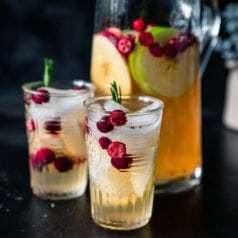 Witch’s Brew Cocktail, do you dare to try this bewitching cocktail? It’s delicious, I promise, just one little sip! So, you’ve come here in search of a special potion to make your enemies… err, I mean friends on All Hallows’ Eve? You have come to the right place, my pretty! This is one of my special brews, I’ve saved it just for you! 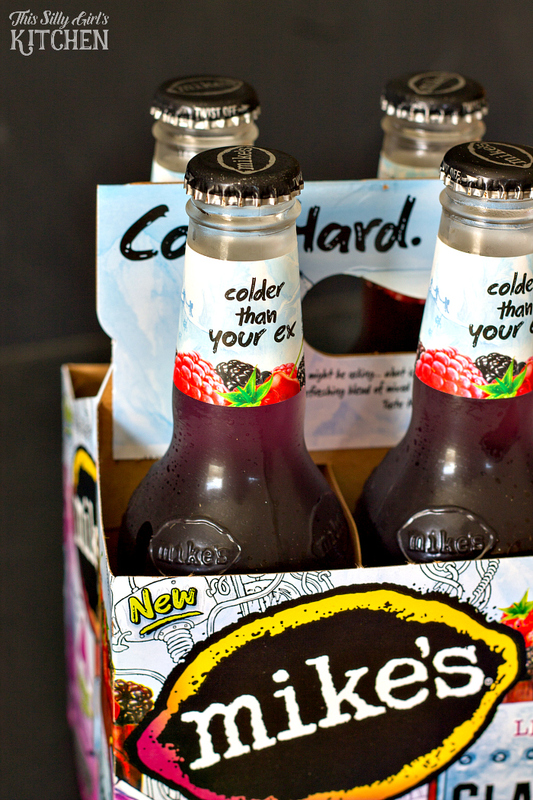 A refreshing mix of berries and a hint of vanilla… they won’t know what hit them! My friend Mike from Mike’s Hard Lemonade sent over the secret ingredient. Mike’s Glacier Berry Lemonade will have your goblin friends begging for more! Have you seen this premonition yet? I thought it was very interesting indeed! What makes this cocktail extra special is the mix of flavors. 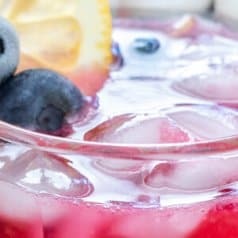 The Glacier Berry Lemonade is very fruity, paired with whipped cream vodka, raspberry liqueur, club soda and my fruity twist… cranberry juice ice cubes! This delicious brew will never be watered down, you always want a full proof potion! Before you start making your cocktail, make sure to make the ice cubes. Just any cranberry juice cocktail will do! Super easy. I would suggest making a bunch the night before so you are fully stocked up! The recipe for this brew makes one large cocktail. BUT, you can easily make a huge batch! Place all ingredients in a glass and stir, add ice cubes as desired! Enjoy! Tried this recipe?Follow me @danadevolk or tag #danadevolk! When I started drinking this, I thought this isn’t too bad! But then a few seconds later I felt a nice warmth, so be careful with this yummy concoction! 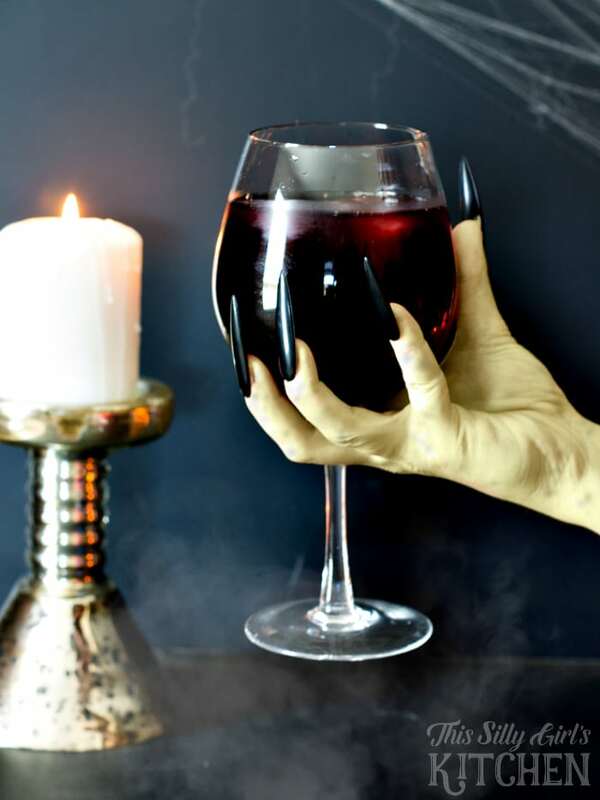 It is very light and flavorful, perfect for a spooky Halloween party! I love the mixture of the deep purple drink and red ice cubes, very dark and mysterious! 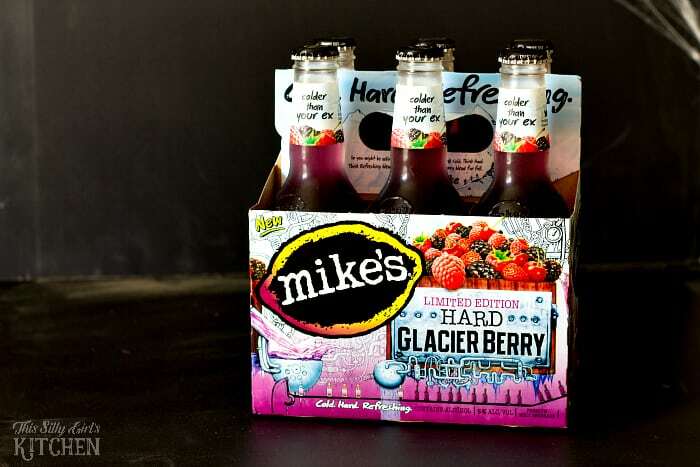 You can find this limited edition Mike’s Hard Glacier Berry Lemonade at your local grocery store! It’s delicious on it’s own, but it’s always fun to mix up a festive mixed drink! You don’t need a huge party as an excuse to make it either. I can’t wait to sip it all night long on Halloween while watching my favorite Halloween movie, Hocus Pocus! Don’t judge… it’s such a classic! So, what about you? Are you planning a huge celebration this year or will you be keeping it low key like me? Especially when I know I’ll be sipping on a delicious brew like this one, I tend to stay home. Better safe than sorry! 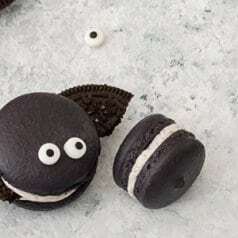 I really hope you liked today’s fun recipe and post! 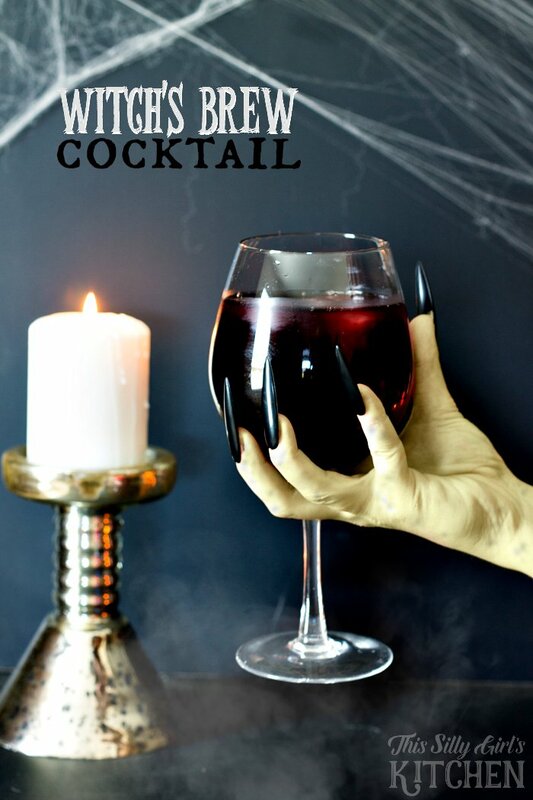 What is your favorite cocktail to serve at Halloween? ?